Uppal, June 17: As part of CSR activity, schools going students and Technical school students from Don Bosco Navajeevan were invited by Genpact in the month of June, a month dedicated for Environment. A group of 10 students accompanied by Mr. Raja Reddy, Programme Manager participated in painting competition on the theme “Environment” on 15th at DLF, 16th at Pocharam and 17th of June at Uppal campuses. Mr. Adrian, Manager CSR was coordinated this activity from Genpact. The activity was like a competition between students and the employees. 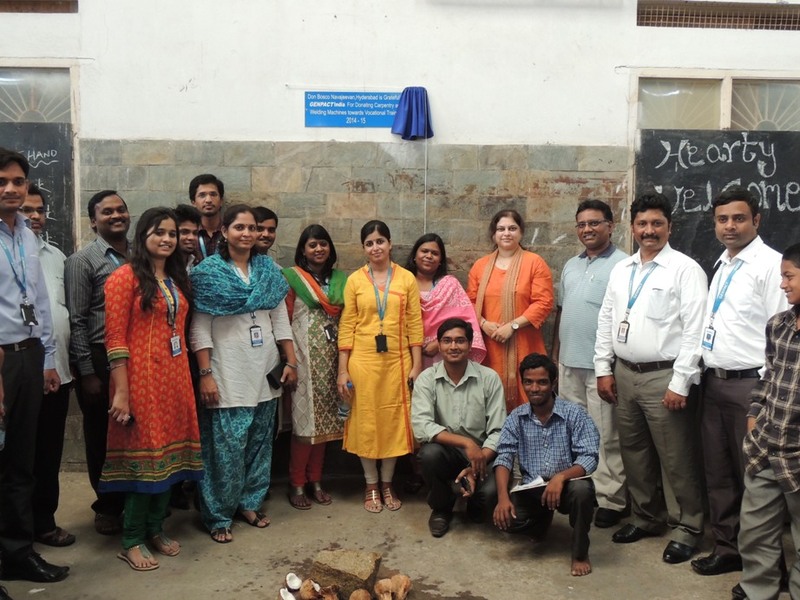 The employees and the students participated actively in this and there was a lot of interaction between them. The staffs were excited about the event and they have also earned from the students. In between the breaks, the students were taken for floor walks where the working area of employees to explain about the life of students and their process of staying in Don Bosco Navajeevan. The staffs were very keen to listen the students and life stories of technical school students as well. The team from Don Bosco Navajeevan got very good hospitality and the activity went on up to 8pm on those days starting from 11am. We thank Mr. Adrian who coordinated this activity and all the Genpact team for supporting the children of Don Bosco Navajeevan.